Have you ever done a complete 180 on a food you have tried? Well, that certainly has been the case with me and my opinion about Milano cookies. My husband has always liked them and I remember the first time he told me to buy them and I tried them I was quite taken aback with that first bite. I thought the cookie part had the weirdest texture that I did NOT care for. Thanks, but no thanks, honey! He kept enticing me with trying different flavors—my favorites now being the double chocolate and mint, until they grew on me little by little. But now look at me! Just last night I polished off half the bag by myself! I’m just like a child trying out new foods—you’re supposed to make your kids keep trying those veggies at least 15 times so they can grow accustomed to the taste. Except I did that with cookies because, well, I’m a grown-up and I can! Sometimes life seems a little unfair since when you’re a kid—your mother would never let you have ice cream every night before bed back when you had the kind of metabolism that you could have a big fat slice of chocolate cake and a bowl of ice cream 3 times a day and never gained and ounce but now that you’re a grown and can do that anytime you want—you don’t dare because like my grandmother always used to say “once on the lips—forever on the hips!” I digress. 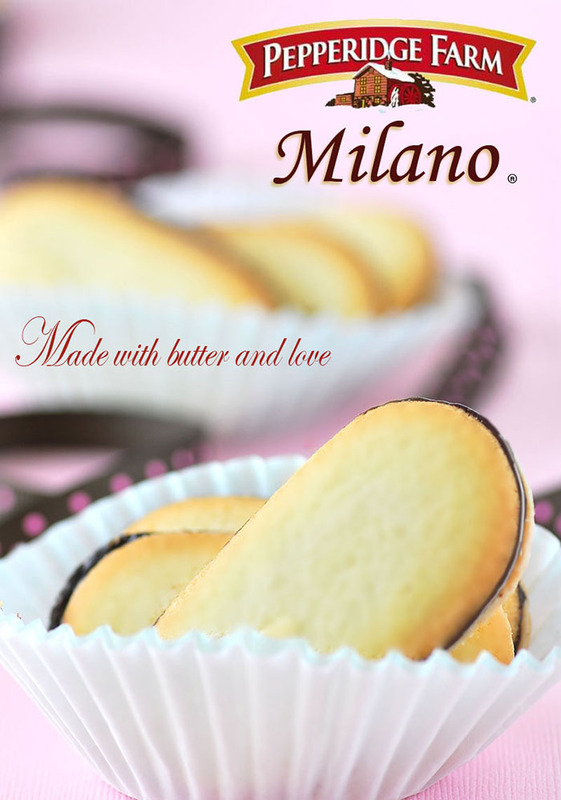 Since my love of Milano cookies has indeed turned into a love—I delved a little deeper in the Milano world and looked up some dessert recipes to see what people had come up with these delightful little cookies for me to whip up. 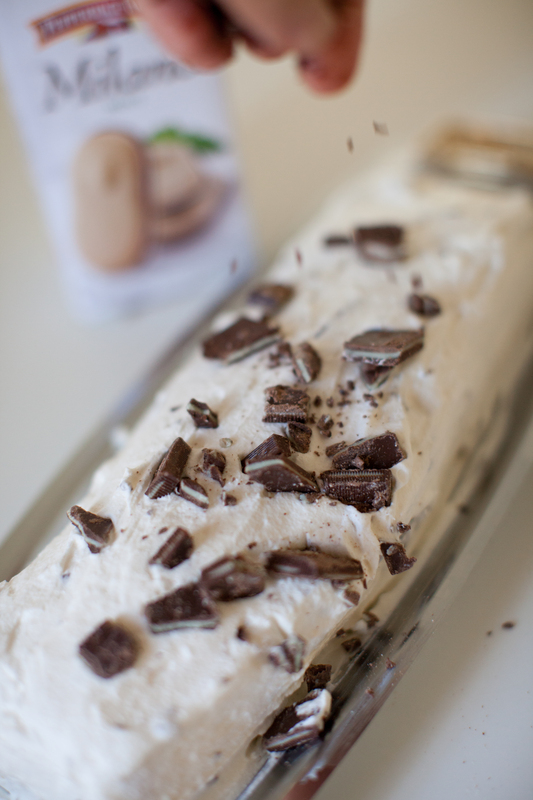 There were a few decadent treats to try buy I settled on a Andes Mint/Mint Milano Log. You just can’t get better than chocolate and mint in my book! And I LOVE Andes Mints so this really fit the bill. 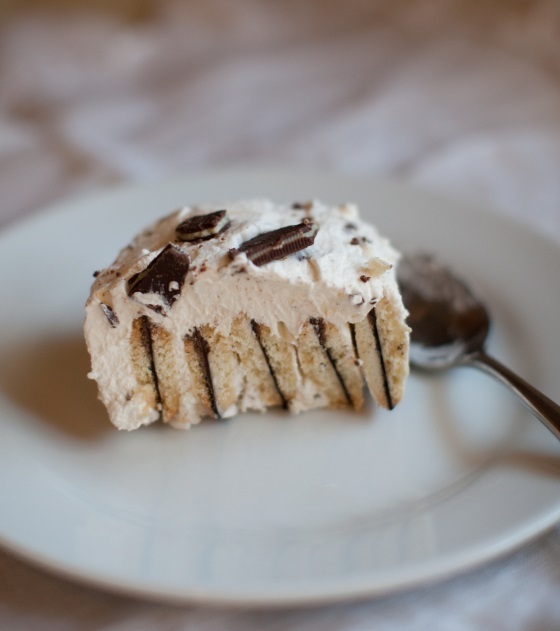 It is a really easy recipe too and just needs a couple easy ingredients. Do you have a food or treat you used to really not care for but now you love?? I’m only hoping the same thing will happen for my with shrimp and other seafood like crab. My husband loves seafood but no matter how many times I try it I just don’t like it any better and don’t get what the big fuss about it is I hope you guys have a great week!